Creating a Smart Livable Home begins on the outside. By creating wide, obstacle-free areas surrounding the home, homeowners can help reduce perils for themselves, their families and also for visitors who might stop by. At the very least, it is important to have obstacle-free, well illuminated, 36-48-inch-wide concrete pathways from the sidewalk — and also the vehicle parking area — leading to the front doorway of the home. Experts in the field of universal and accessible design recommended that you consider providing at least one step-free entrance to get in and out of the house. In addition to wide, obstacle-free pathways, here are some additional upgrades that can help make a home safer and more cost-efficient. This kind of entry is where a sidewalk rises up a gentle grade, providing a no-step entrance to the house. Essentially, this style creates an “invisible” ramp, making entering and exiting the home easier and safer for everyone. The sidewalk should have a gentle slope that does not exceed a 1:20 grade (an approximate 5 percent slope grade; the larger the run figure, the more gradual angle), which is the maximum recommended slope without handrails. The recommendation of 1:12 from the Americans with Disabilities Act, which applies only to commercial properties and can be difficult to ascend for many who have mobility challenges, is currently being revised to 1:20. For anyone using a wheelchair, it is suggested the ramp then lead to a covered 5-by-5-foot deck or landing space outside the house entrance, which is at a finished height that is the same as the front entrance way. Linear planting strips with raised plants or shrubs of approximately 1-foot height can then be created on both sides of the new sloped sidewalk to provide beautiful borders. Don’t forget, the sidewalk and deck or landing areas should be well illuminated. There are alternative solutions to achieving step-free access to one of the house entrances. 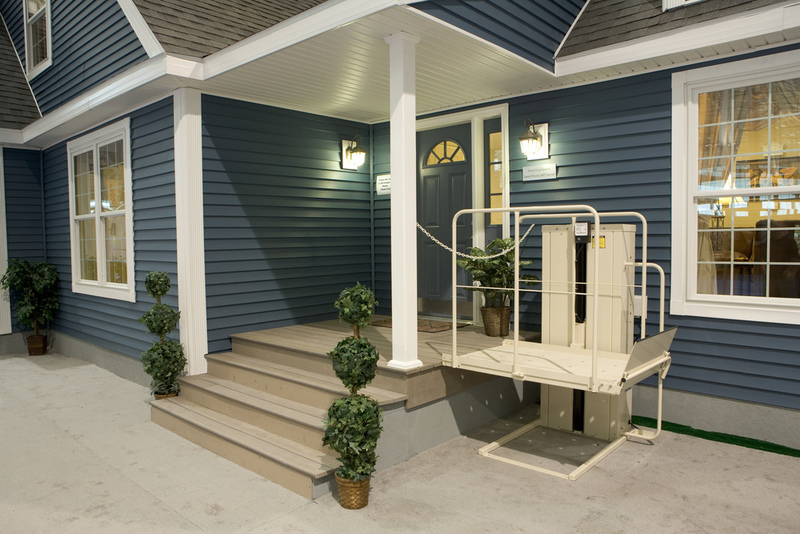 When a graded walkway is not practical, or you have an additional 36-inch-wide accessible entry into the home, consider installing a ramp or exterior platform lift leading to a protected deck or landing. Both ramps and platform lifts can be installed in an inconspicuous way and be concealed by landscaping. In San Diego, Harmony Home Medical is a company that has a showroom with various ramps and platform lifts set up for hands-on viewing. Yes, windows can enhance the look of a home. However, older or inefficient windows can increase a home’s heating bill by around 25 percent in the winter, and a similar amount in cooling costs during the summer, according to Energy Upgrade California. Making the right selection of double-pane, Low-E, high-quality windows can save you a significant amount of money. When upgrading windows, it is essential to make certain all spaces around the window frames are air- and moisture-sealed to get the maximum benefit for your upgrade. When shopping for new windows or skylights, look for the Energy Star-certified label, which indicates the product meets specified government efficiency standards. For maximum efficiency, new and remodeled homes should incorporate exterior building materials that hold up to the abusive effects of sun, rain and wind. 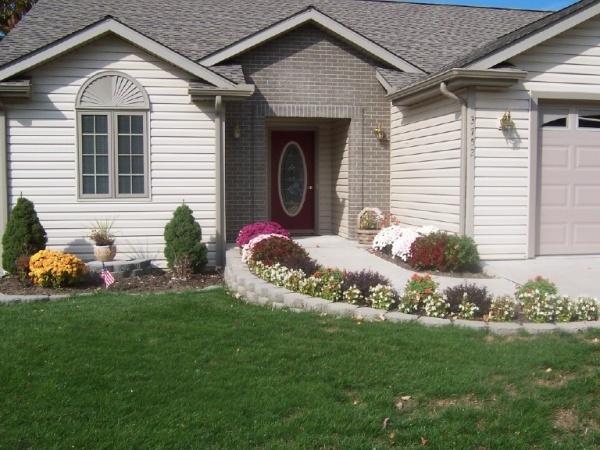 Exterior materials, such as quality cement siding, come factory pre-finished and will remain maintenance-free for many years. For fire zones such as California, this material also can be fire and termite proof. Selection of exterior wall finishes made of stucco with a weather protection finish, or fiber-cement siding, vinyl trims and composite decking also can form a largely maintenance-free exterior. In addition to siding, exterior doors are important to check. Exterior doors should be 36 inches wide and have easy-to-grasp lever handles. Automatic entry door lock units operated by remote control, such as a cell or smartphone, also are available. Quality, glare-free outside LED (which is energy-efficient) lighting plus highly visible (from the street) 6-inch-high minimum address numbers are a necessity not only for a home’s occupants, but for visitors as well. Laurence Weinstein is the founder and president of Shared Solutions America. He spends much of his time educating both consumers and professionals on how to create practical as well as beautiful, living environments that are user-friendly, energy-smart, safe, sustainable, and affordable.